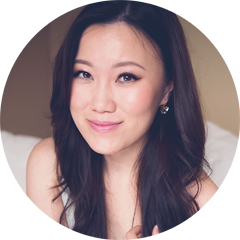 Dollywink eyeliners have established themselves as one of the top drugstore level eye products in the Asian market for the past few years and has appeared in numerous magazines and touted by various models and bloggers alike. The brand, produced and endorsed by Japanese gyaru model Tsubasa Masuwaka is known for it's distinctive cute packaging and feminine colour palette. I had been wanting to test out the Dollywink liners for years but since I was happy with my steady Revlon Colourstay, I saw no real reason to spend the money on another eyeliner when so many of them have disappointed me before. 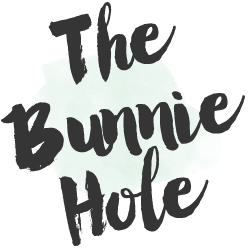 Would I repurchase: Liquid, yes! Pencil, no. I'm starting off with the liquid liner not only because it's my favourite of the bunch but it was the very first product I had tried out when I received it as a birthday gift from a dear friend. Deceiving as it may appear in photographs, the tip is actually a brush fibre tip which truth be told made me incredibly uneasy as most times these tend to fray, split and/or jab me in the eye and which is why I've long since switched over to felt tips. Dollywink however stayed nice and sharp throughout the months and while the tip was precise, the brush fibres were soft on the eye area providing a smooth and comfortable application. The flow of ink was consistent given that you tip it upside down for a few seconds prior to use and did not skip nor splotch at all. The design of the brush makes it best to be used for finer lines or sharp details rather than a thick wing. As opposed to my Revlon liquid liner which is matte, this one dries with a slightly glossy sheen which gives a softer look to an otherwise quite graphic eyeliner method. While the colour is a true black, one swipe will only give you 90% opacity so additional fill-ins may be needed if you are a liquid perfectionist like me. Additionally the ink dries almost instantaneously which is superb and once set is quite rub proof although not waterproof. It does tend to lift a bit when I'm curling my lashes but that may just be a personal problem as I have to get my curler really close to the base. After been happily surprised by the liquid liner and seeing the pencil reappear over and over again in PONY's makeup book I thought I'd give this a go as well. Unfortunately this wasn't quite so wonderful, being hard to apply smoothly in one stroke and smudging off easy as well. The product had an oil pastel type of consistency which is soft but somewhat clumpy, leaving small waxy bits behind when rubbed. 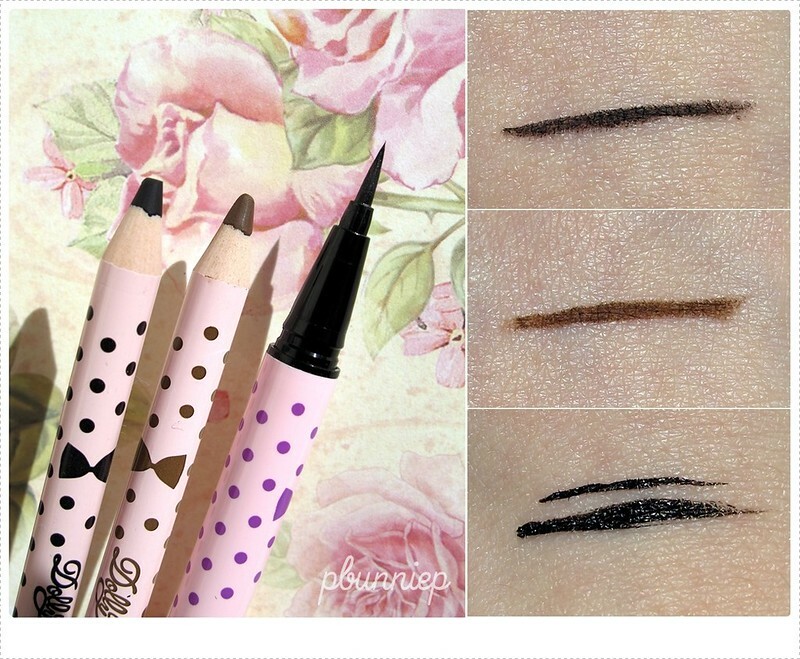 Altogether the only thing I liked about the Dollywink pencil liners was the colour tone (the brown being the perfect shade, not too dark or too pale). These do last slightly better on my lower lash line when smudged out with a pencil brush so that's how I've been trying to use them up. I believe I'm wearing the liquid liner here, a sharp fine wing as you can see. 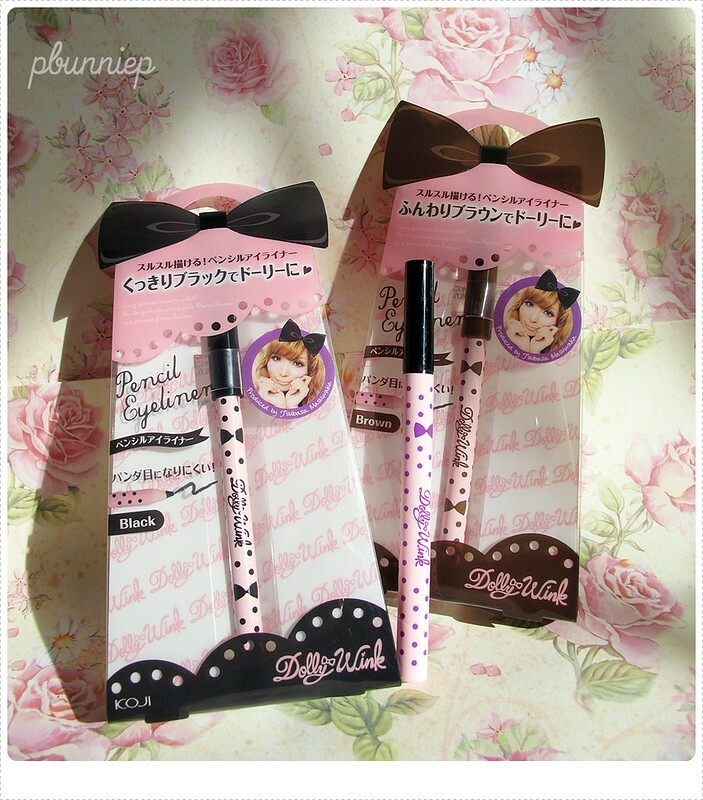 Tried the Dollywink liquid liner before? What's your best sharp eye liner? I've only tried the pencil liner and I didn't like it either for the same reasons. My bottom shadow only turns up well once in a while, so it seems like I don't have much control over it at all...I find that that it separates easily and then smudges all weird often. The pencil liner seemed really popular and I'm not totally bummed out that I have two sitting around with nowhere to go. It's the most expensive liquid eyeliner I've ever bought! Sheeeesh! But I can understand how the super sharp line can be a plus for those who like that kind of look. i bought the pencil liners too, and same here--they smudge so badly on me! now i don't know what to do with them, but i'll try your pencil brush method and see. Hahaha, I totally understand that. I get all comfortable and 'holy grail' with something and then I'm so afraid to try anything else! I'd say it's "water resistant" (if I run water over it, it doesn't dissolve right away) but it comes off if I rub it in water (you don't need a waterproof remover to take it off). My HG long lasting eyeliner is still the Revlon Colourstay Liquid Eyeliner! I tried the Dollywink pencil eyeliner about a year ago & sadly, it was disappointing - it smudged & transferred to my top eye lid quickly. I am very tempted to try their liquid eyeliner with all the hype on the product, but I am really happy with the Kiss Me Heroine Liquid Eyeliner, it's extremely resistant to flaking, smudging & is super black, and doesn't leave residue like the 24hr Tattoo. definitely my HG.